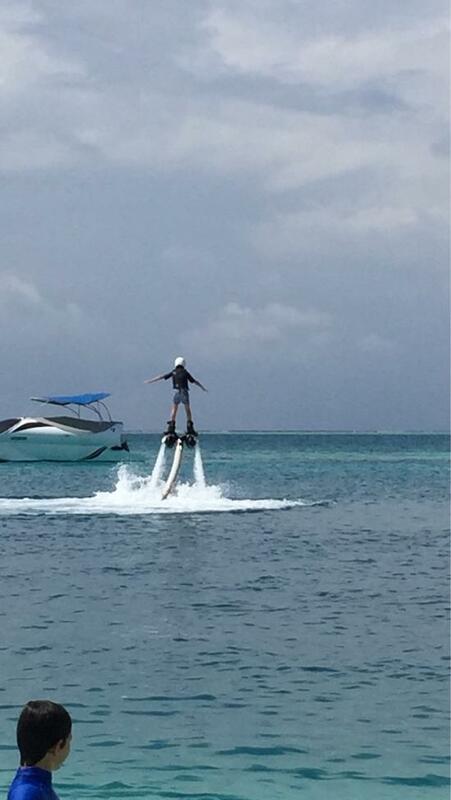 Anybody there at the moment been able to ask about the water villa renovation plans? Also, how fine is the sand on the beaches now? Good for sandcastle building? llfoster and Michael19887 like this. I spoke to people in the front office when I was at the resort a few days ago and asked about the renovation plans. It sounded like discussions were ongoing with regards to the water villas, and that the priority was to finish the beach villas that they weren't able to renovate before the high/festive season began. pineapple_09 and llfoster like this. The resort allowed itself to be overcrowded for a day in order to make money. That's it. It wasn't particularly fair to the paying guests, but it happens every day around the world that hotels have weddings, photo shoots, ceremonies, parties and other events that are loud and disruptive to paying guests. This is not news. I'll be honest. That's a very one-sided and simplistic view of what happened. The point is - and should I really need to make this clear?! - that the Maldives is special because you have one resort per island, no locals hassling you to buy souvenirs and sell you stuff, no locals or staff allowed on the beaches, in the spas, in the restaurants or at the bars (except for maybe the HM and GM who you sometimes see at a bar). That's what you're paying for when you go to one of these resorts. One can look at the property one wants to visit, its size, number of dining options, number of rooms and spacing between them, staff to guest ratio and a whole bunch of other stuff. You can work out how crowded it will be and how much privacy you can expect to have - and even then we are pleasantly surprised when we find out it's even less crowded than we thought it was going to be. Note that Rangali has an especially good reputation for this, and that's why it's mentioned regularly. So when you say "it happens every day around the world that hotels have weddings, photo shoots, ceremonies, parties and other events that are loud and disruptive to paying guests", you conveniently leave out the facts that the vast majority of those hotels you are talking about have streets outside them with footpaths, public transport and other hotels and places of interest that you can go to for however long is necessary should you decide you don't like the place you're currently staying in or whoever is there temporarily. There are almost always nearby restaurants that you can walk, bus, catch a cab to if you can't find a table or if some rowdy group is in there when you walk in. You have choice. I shouldn't need to spell out that in the Maldives you do not have those choices, bar changing the resort you are currently in and we all know how practical and expensive that is! The owner of Sun Siyam Irufushi is building a 600-room resort - the biggest of any resort planned to open in the Maldives thus far. If it were to be on an island measuring 2km * 500m with a room to restaurant & bar ratio of 15 or 20:1 then I might consider it. If it was to be on Irufushi with 3 massive buffet restaurants and 5 à la carte restaurants then you'd have to pay me to go there! As for Rangali and other 5-star/+ properties, exclusivity and privacy is what they advertise and it's all part and parcel of your stay. If 80-100 guests simultaneously invade the resort when it is at full capacity then Hilton are not living up to their end of the bargain. It doesn't get any simpler than that. If you aren't concerned about floods of people then go to a non-resort island where there are guest inns.....and pay the going rate for it! End of story. alanslegal, pineapple_09, scwam and 5 others like this. Well said. But where can I I find this statistical information you said about staff to guest ratio? They have such info? And I thought I was overkill on checking details. Stefano Ruzza has responded on TripAdvisor to the 1* reviews bashing the resort for the cruise ship visit. I'd say these responses are lacking in substance, as he doesn't really acknowledge they did anything wrong, nor does he defend the practice of allowing the cruise ship. Thank you for taking the time to share your experience and concerns with us. We at Conrad Maldives are lucky to have such a beautiful resort and island to call home, and pride ourselves in our efforts to match the beauty of the location with attentive service and high quality offerings, which I am sorry you felt you did not experience during your stay. We continue to take guests concerns seriously and are committed to resolving any issues promptly, and will be happy to connect with you individually. nick33889, please know that your feedback is highly valued by us so I thank you for providing it. We do hope one day that we have the opportunity to welcome you back to Conrad Maldives Rangali Island. Thank you for taking the time to share your experience with us. We are delighted to have had the opportunity to welcome you back to Conrad Maldives Rangali Island, however, we are sorry to learn that this stay was not the wonderful experience you had previously. 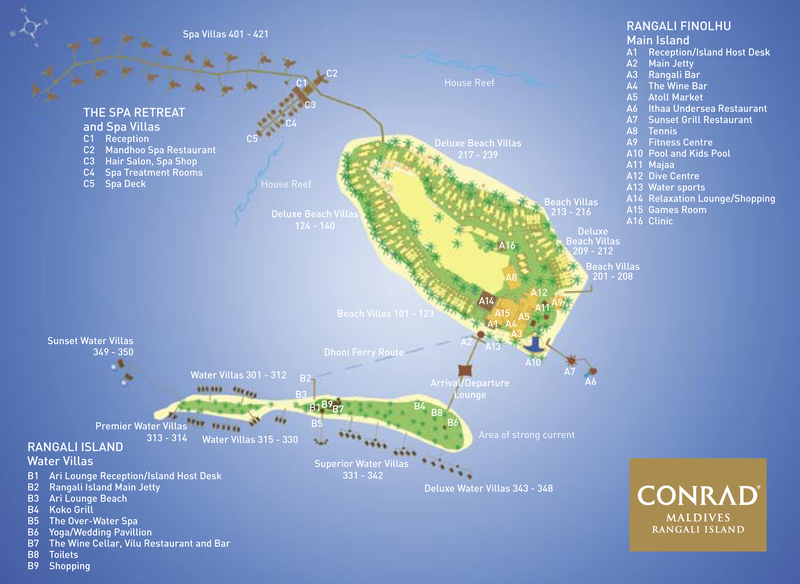 The team at Conrad Maldives Rangali Island is dedicated to providing all our guests the best island experience. We continue take to guest concerns seriously and are committed to resolving any issues promptly, and will be happy to connect with you individually. Thank you for staying with us and taking the time to share your experience and concerns with us. Please know that your feedback is highly valued by us so I thank you for providing it. I do hope we have the opportunity to welcome you back in the near future for a third visit. Thank you for taking the time to share your experience and concern with us. We are sorry to learn that your experience had deviated from the luxurious experience our resort is renowned for. Our team is dedicated to providing guests at the resort with the perfect island escape. We continue to take every guest concern seriously and are committed to resolving any issues promptly, and will be happy to connect with you individually. Musicman40nj, please know that your feedback is highly valued and I thank you once again for providing it. From all of us at Rangali Island, we hope to have the opportunity to welcome you back again. Canned responses (from his assistant I guess). I can see they have made a few differences in the format but mostly the same. And yes, not admitting anything is not going to get him in anyone's good books, that I can assure you. I see someone has posted that PS'd pic that was talked about a few pages back. The HMS Horde in the background is real and judging by the title you know why they added those birds and whatnot. LOL. MaldivesFreak - on a slightly lighter hearted topic, can we talk about how fine the sand is for a minute? How does it hold up for sandcastle building? This is a serious question My little one has big plans for sandcastles! The sand differs around the resort from powder to grainy in places, but I think as a generality the sand close to the beach villa along the long sides (definitely not at the ends though) is fairly similar to the sand over at the quiet zone.... and I say that because over new year someone had created some fairly decent attempts at sandcastles over there! I contacted the sales team as I have a stay in Mid May; they said they have no current plans to renovate the OWV's as of right now. Hi, the sand castles mission is possible at beach villa fronting east beginning on room 237. I had similar mission for my 3yo daughter. WV 328 West Side has still and shallower water that more suitable for kid, unlike 407 family villa we stayed earlier which has constant current coming from mandhoo side and rough sand floor with sharp stones. The 328 we staying could have some bug outside at nights, probably due to calmer wind and wave. Overall dirtier than the Family villa side. Good to know. I'll be there a few weeks later and hope that's still the case. Are the resort and Hilton attempting to stick their collective heads in the sand over this? Such an ignorant approach will surely result in a huge loss of faith in them both. I would not be surprised if the resort is actively censoring/deleting related questions on their Facebook page? Have you tried posting something HMS Horde-related there? See if it gets deleted. Yes, as mentioned, next to The Quiet Zone (towards Vilu and on the other side too) has the best sand and it's not busy at all at those 2 spots although the beach on the way to Vilu is much larger and better for your little one to play on. The DWV beach on the eastern side has pretty good sand too but as you get further towards the DWVs it gets coarser. BTW, has anyone seen better sand than at Irufushi. It's really like flour there and miles better than Rangali's (except for reception, Rangali Bar & Atoll Market of course). Must be pretty rare. Shame it's not a Hilton anymore. The sand around 227 on the sunrise size is pretty solid as well. It gets coarser the closer you get to the rooms, but is nice and fine about middle of the beach to the water. ROOM: This was hit and miss...we started with a positive...We had a renovated Deluxe beach villa for the first 3 nights. The room was nice, very well redone. Our room was on the lagoon side (room # in the 100s) as opposed to the 200s (reef side). Would recommend reef side if you like to snorkel as there are no chairs on the reef side other than those for the villas on that side. As a Diamond member, we had a few pieces of fruit (not refilled during the stay), a bottle of red wine, and a small box of chocolates. Overall room was clean, and we enjoyed it. Worth the fee spent to upgrade from the standard beach villa to deluxe. HAPPY HOUR: 50% off at the quiet zone. We were there every day. "Shark" greeted us every day and remembered our names by day 2. He was the highlight of the service for the week, and made the 5-7pm happy hour wanting us to return each day. WHALE SHARK TOUR: really cool seeing Manta Rays...we did not find any whale sharks the day we went. As a back up plan they took us to an additional reef to snorkel. While an expensive trip, we enjoyed it, despite not seeing any whale sharks. We were told it had been 1 week+ since they had spotted any. What's crazy about this whole debacle, is the guests at the hotel were not even notified that they were allowing additional people to use the island for the day. Not that it would be acceptable even if that were the case, but it essentially felt that the cruise ship guests were get preferential treatment to those who were paying to actually stay on the island, with no notice to the paying guests. Additionally there were limited dining venues available on Valentines Day, as the Conrad appeared to hold space for these cruise ship people. We were able to only secure an 8pm dining reservation as the outlets were "very busy" when we booked 2 days prior. However, upon showing up for our 8pm reservation, there were several tables already seated with cruise ship passengers. This was easy to identify, as we observed the staff bringing credit card machines table side at the end of their meals. Other guests we spoke to ended up at Rangali bar (no reservation required) on valentines day as other outlets were full. The short story here, is having a cruise ship tender passengers to the Conrad completely degrades the experience for those paying dearly (in excess of $1000+ a night for a room) which is COMPLETELY UNACCEPTABLE. This simple fact would prevent us, as Hilton Diamond, from ever returning to the Conrad Maldives. There are far too many resorts, as well as new competition, to roll the dice with having the peace and tranquility you expect when travelling so far just to get there. 2nd ROOM: We moved to a standard over water villa for 2 nights...I would recommend against this. The room is outdated, showing wear, and the water around the villas is so shallow it is not really practical for swimming. We never saw anyone swimming around their water villas in our 2 days there. Stick with the beach villas. BOTTLED WATER: Maybe this one is just me...but in your room and at breakfast there is free Conrad filtered water....but at other meals (every dinner we had) the only option is expensive imported water...were talking $15 for a bottle of Evian...While it's nice to have that option for people who want that, clearly this is a money grab for water. I would be ok paying a small fee for the Conrad bottled water, but they will not provide it. You are forced to spend $15 for a bottle of water at meals, to me this is nickel and diming at a property people are already spending thousands just to get there and for their stay. DEPARTURE: Organized chaos is the best way to describe this. We had a 6:30pm flight from Male. We were told to be at reception at 3:45 (2:45 Male time). We were initially told we would depart around 4:15-430. Around 4:15 we were told our plane would leave at 4:50. The plane didn't arrive until 5, we departed around 5:15pm. at this point we were waiting an hour and a half. I get why they wanted us there early, but waiting for 90 minutes seems excessive. Additionally, since we didn't leave until 5:15, we didn't arrive to Male until 4:50pm (with the 1 hour roll back)...and by the time we got our luggage and made it to check in, it was 5:15pm. Had we not arrived by 5:30 we wouldn't have been able to check in for our flight....this whole situation created unneeded stress to end the trip, and we were consistently getting conflicting sea plane information on departure day from the Conrad. OVERALL: The overall trip was enjoyable 4 of the 5 days at the property. However, my overall rating reflects the value of this property compared to all the excellent properties in the Maldives, and for the price one spends on this type of vacation, there are clearly other properties that I'd imagine provide more personalized service, pure relaxation, and not make you roll the dice with what experience you will receive, as well as if they are making a quick buck to allow other visitors to use the island for a day while you are there. pineapple_09, llfoster, G-CIVC and 5 others like this.